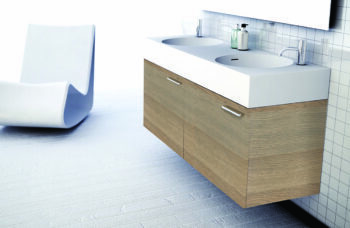 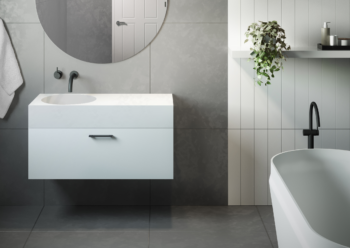 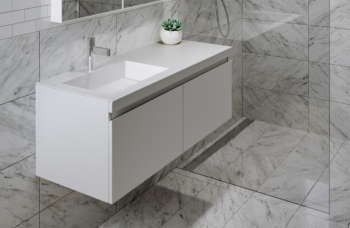 The striking wall mounted Urban 900 MK II vanity has a chic streamlined design with its unique eye-catching slimline solid surface basin and a sleek understated beveled finger pull allowing for a clean ‘no handle’ look. 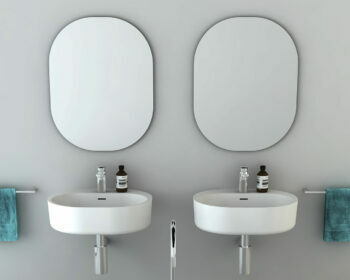 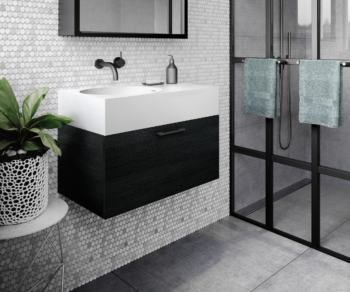 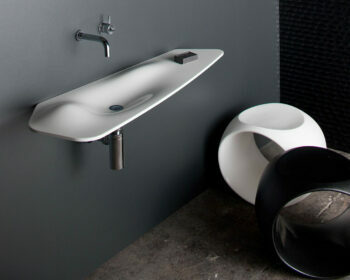 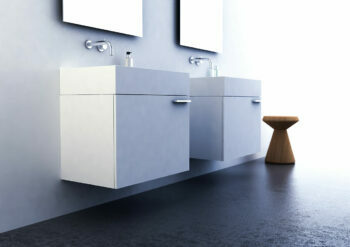 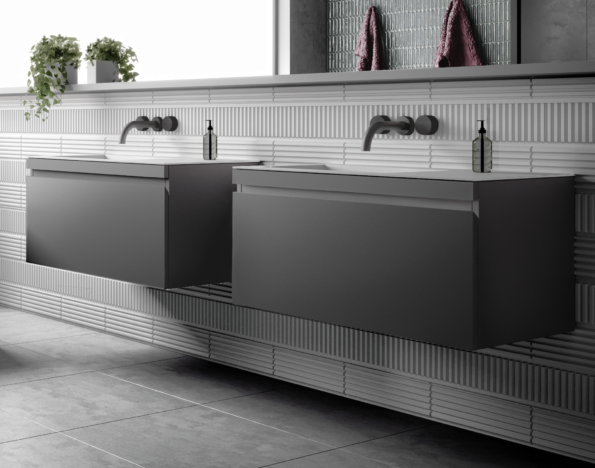 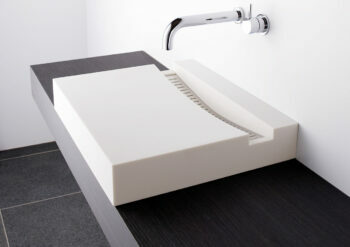 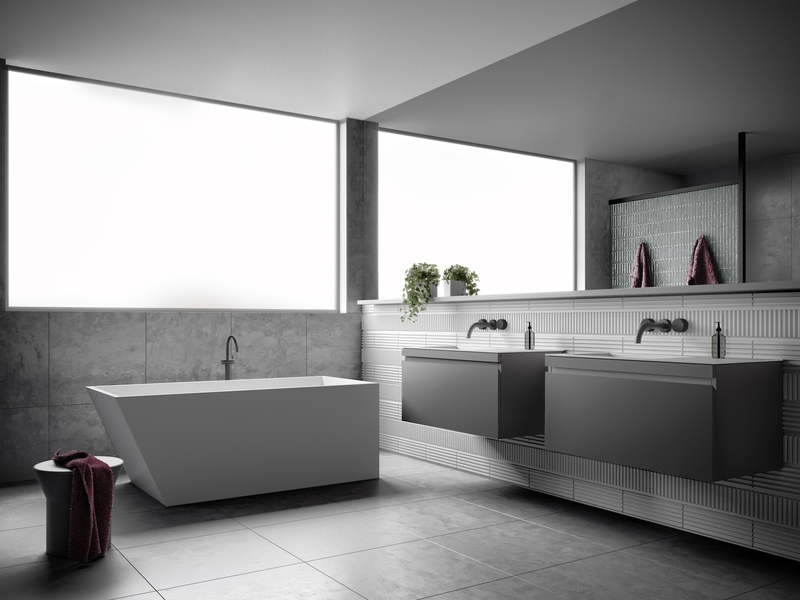 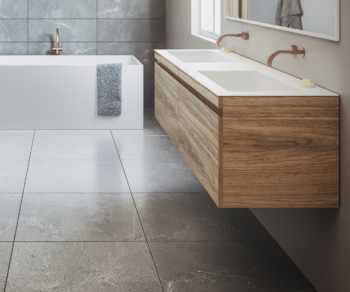 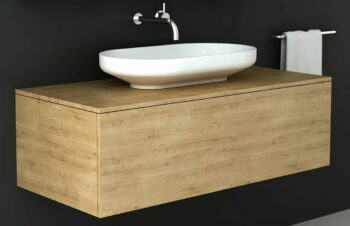 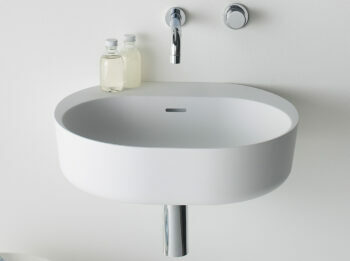 The Urban 900 MK II is a flexible and practical piece and is suitable for small bathrooms through to generous ensuites. 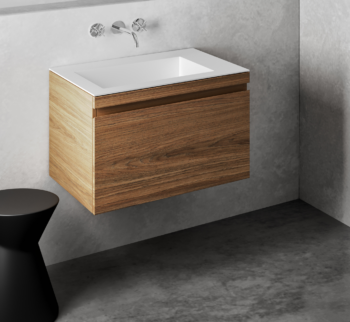 Urban 900 MK II offers a distinct offset left hand bowl with a soft close drawer and is available in three luxurious finishes, each with adjustable internal dividers. 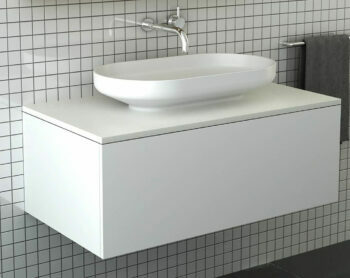 It can be ordered with or without a tap hole and is supplied with a polished chrome pop up plug and waste and compact pvc p trap for plumbing. 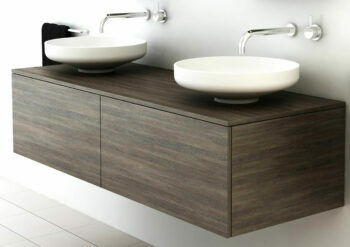 Also available in 700, 1200 and 1400 double.